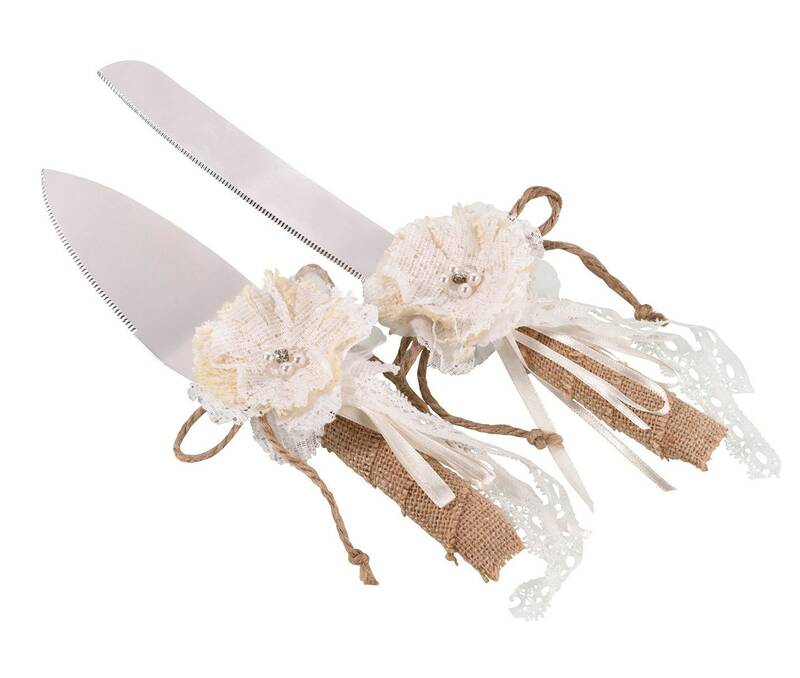 Rustic wedding cake ceremony cutlery. 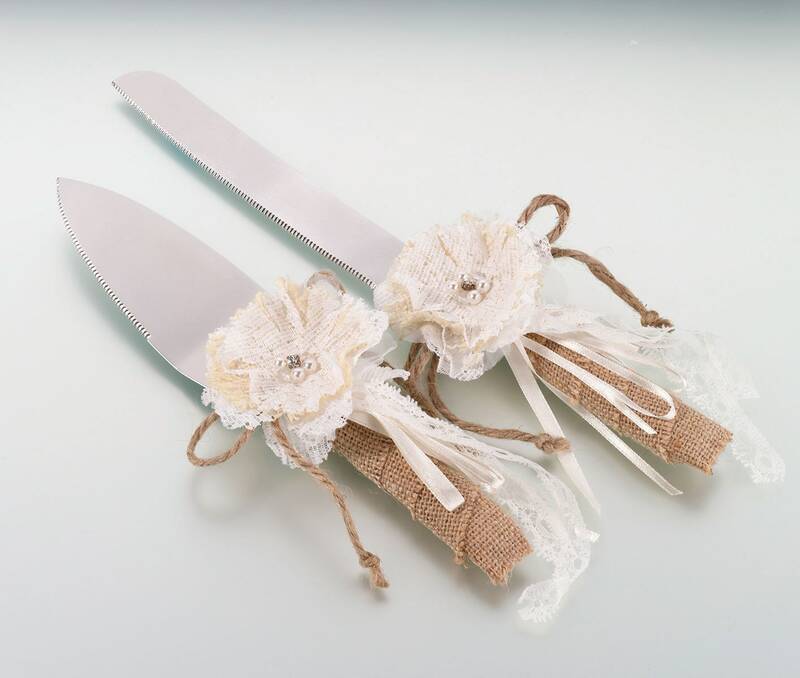 A beautiful set for your cake table is this burlap knife and server. Handles are wrapped in burlap. Lace, satin, pearls and rhinestones add rich details to this knife and server. This set includes one 11.75" cake knife and one 9.5" cake server. Both are made of stainless steel.